Pesarattu - a popular breakfast dish from Andhra. 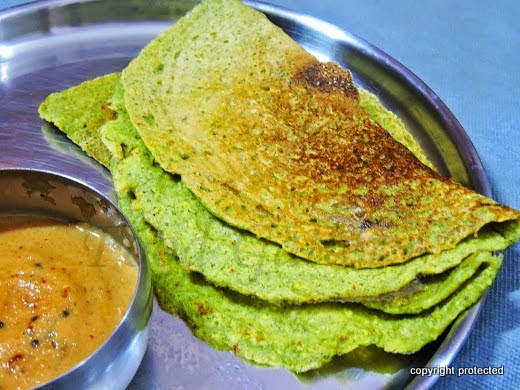 It is a more healthier version of dosa as it is prepared with whole green gram. Pesarattu with upma is a popular combo and is taken both at breakfast and as a snack. It is typically served with ginger, coconut or onion chutney. Now start your mornings with these protein-packed pesarattu dosas. Soak green gram and rice together for 5 hours or overnight if possible. Grind to a smooth paste along with ginger, green chillies, salt and a little water. The batter should be coarse and a bit thicker than the regular dosa batter. Heat a tawa and pour a ladle of batter in the center and spread it out into a dosa. Drizzle 1 tsp of oil around and on the dosa. When the first side is cooked, flip over to the other side and cook until done. 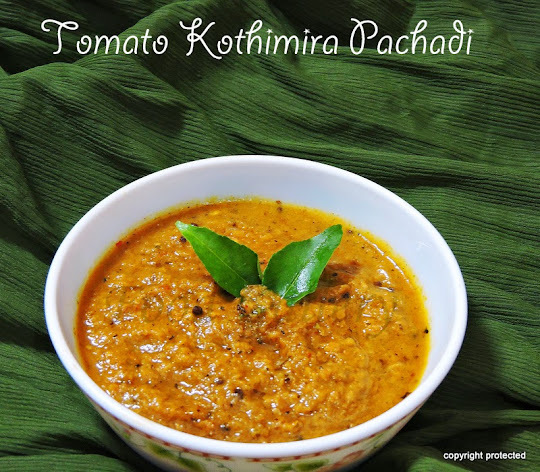 Remove from tawa and serve hot with allam pachadi/ginger chutney or coconut chutney or onion chutney. The batter should be coarse and not too smooth. This will give good texture to the dosa. Can use finely-diced onions as topping. You can refrigerate the batter for upto 2 days. Love this dosa a lot.